You will definitely need a bag for storing all the bits and pieces you’ll need when you are away from home with baby. Can match prams, nursery or just be plain bags. Purpose made changing bags often contain storage pouches for bottles and a changing mat and various pockets for accessories. Look for the kind which have a small waterproof bag attached to the inside. These are invaluable for storing wet and soiled clothes in. The most important things are to make sure that it’s big enough and comfortable/easy to carry. A rucksack is a good alternative especially if you like to have your hands free. Thick cream for heavy-duty moisturising and protection from wet nappies. Can be used at every nappy change, but is probably more useful only when nappy rash is starting to become evident. Again see what is in your bounty packs and go from there. Disposable wipes containing a cleaning agent used for cleaning baby’s bum during nappy changes. 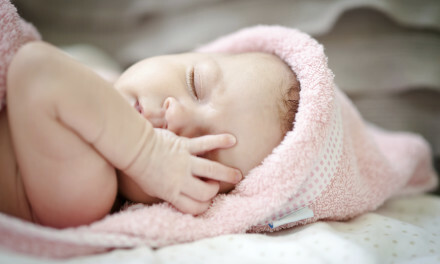 Many midwives discourage the use of wipes on newborn babies. There are many different brands available and you need to choose one that has the right softness and cleaning agents for your preference and for your baby’s skin. Wipes are frequently featured on a 3 for 2 or buy one, get one free offer. It is a good idea to make use of any samples before you buy a new brand in bulk. Unfortunately, many of the shops-own, cheaper wipes are not a good buy. You want thick wipes which can be pulled out of the dispenser one handed, and make sure that the next wipe really does pop out ready for use. It can be very frustrating for you and your baby when wipes fray, tear or you have to wrestle with babies legs and the packet during changing. You can also use them like a ‘wet-wipe’ for cleaning grubby hands and faces, although this can be quite costly (soap and water is a much cheaper, although a less convenient, alternative). A unit specially designed for changing baby. Can also incorporate bathing facilities for smaller babies. They can be combined with chest of drawers or cupboard space, which is also useful later on. Also available to fit on top of a cot. It is important to make sure that the unit is the right height for you. These are a great boon to anyone with a bad back as they reduce the amount of bending over that you have to do. Make sure that you get one that is easy to clean. They can be expensive so it is worth looking for second hand bargains. You may just decide to change your baby on the floor – it’s cheaper and they can’t roll or fall off. Also called Terry nappies, these come in square and shaped forms. These are definitely the greener option and are cheaper in the long run. The old fashioned method is to use a square, but the more modern shaped nappies are a lot easier to use. Most require the use of a liner (either muslin or disposable) but there are some all-in-ones available. Many companies now offer a cleaning service and some will deliver to your door. You will need to make sure that you have sufficient nappies to ensure that you always have clean ones available (24 is sufficient) and they need boil-washing after being sanitised. There are also modern re-usable nappies available that are very similar in shape and use to a disposable, but they are washable. This is a sealed bin especially for nappies. Usually has a bagging system on the top to seal your nappies in and then you dispose of them in bulk. Used correctly they prevent nasty odours and frequent trips to the dustbin but you still have to empty them fairly regularly. These are used with terry nappies to prevent leaks and unpleasant spillages. Also handy for swimming if you don’t want to buy purpose designed swimming pants. These are nappies that are used once and then thrown away. They come in sizes to match your baby’s weight and stages of development. They are very easy to use and very convenient to carry around (e.g. when shopping). There are many brands and varieties and it is worth shopping around for a compromise between cost and performance. This is usually down to personal preference. There are often offers available and bulk buying is definitely cheaper as you will use a staggering amount of them. The better quality disposables do help to prevent nappy rash and are worth that little extra. You need to consider your method of disposal, as nappies are quite bulky. You may find it useful to keep a small supply for emergencies even if you normally use the re-usable kind. Small plastic sack for disposing of nappies. They can be perfumed or unperfumed. Handy for the changing bag so you don’t stink someone else’s house out! Bear in mind that most pooey nappies will need to go outside in the wheelie bin – perfumed nappy sack or not – so old carrier bags are a cheaper alternative. Runny Eggs now OK in pregnancy – Bring on the eggy soldiers!